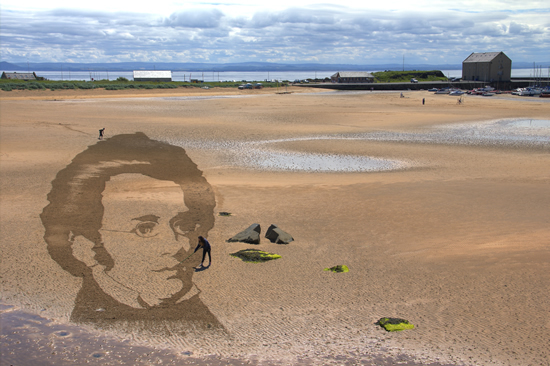 This morning Claire Jamieson and Tom Bolland put together a wonderful anamorphic sand drawing with a little help from me with the odd direction. 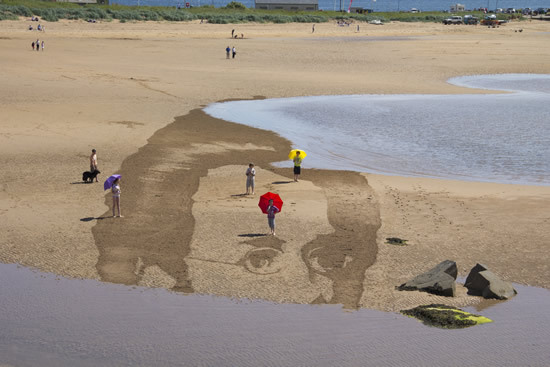 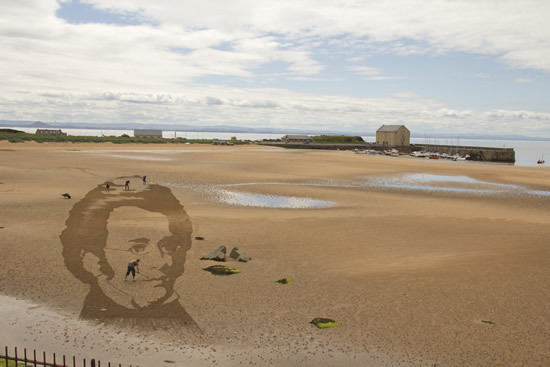 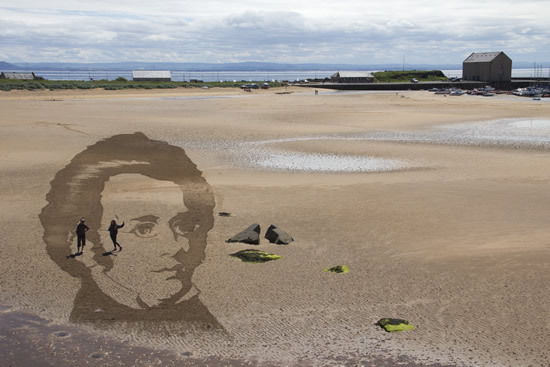 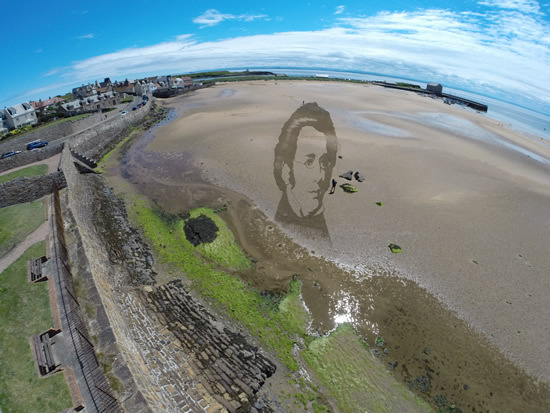 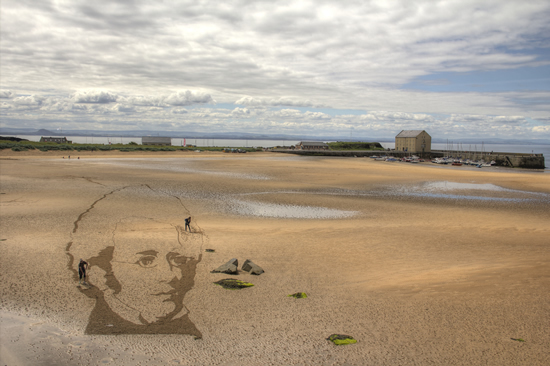 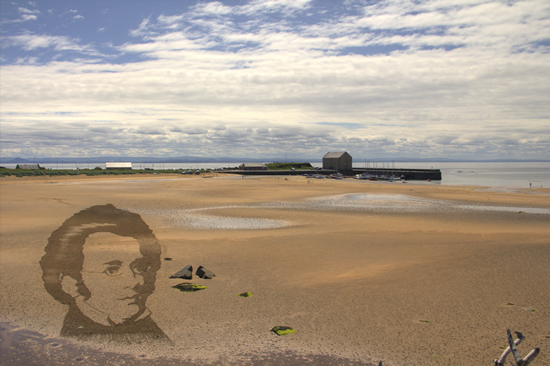 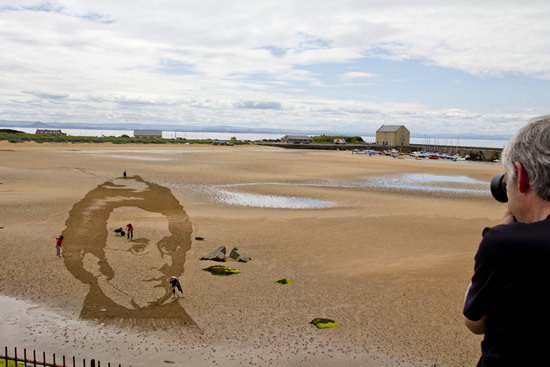 It was a portrait of composer Franz Peter Schubert and there to help promote the East Neuk Festival that is enjoying its tenth anniversary this year celebrating classical music and Jazz. 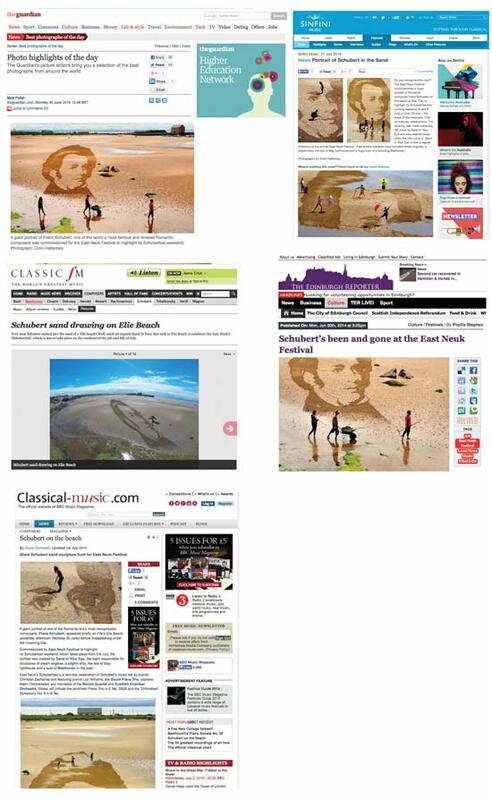 And it has done well appearing in the Herald, The Guardian, BBC Music Magazine, Daily Record, Scotsman, Express and the Courier as well as featuring on Classic FM. 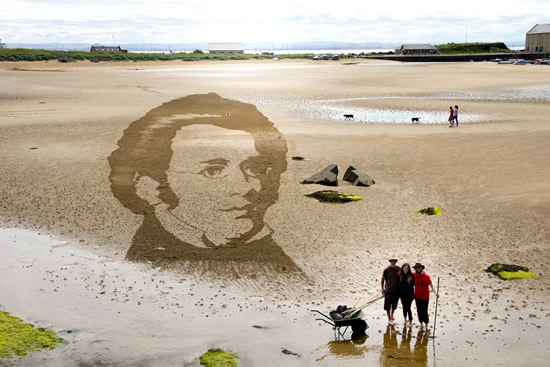 But now Schubert has sadly washed away and we are driving home with satisfied smiles on our faces. 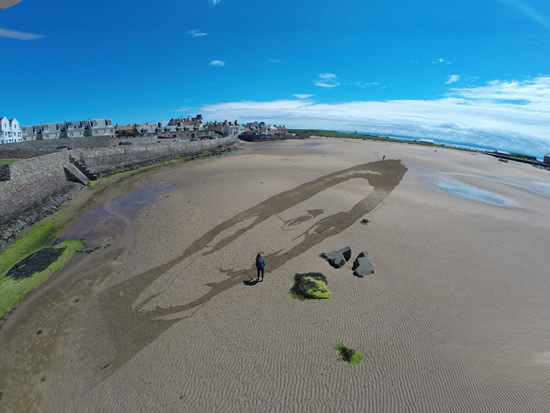 Elie Beach is by the way a most remarkable beach with wonderful golden sand and rocks covered in the most vivid green seaweed. 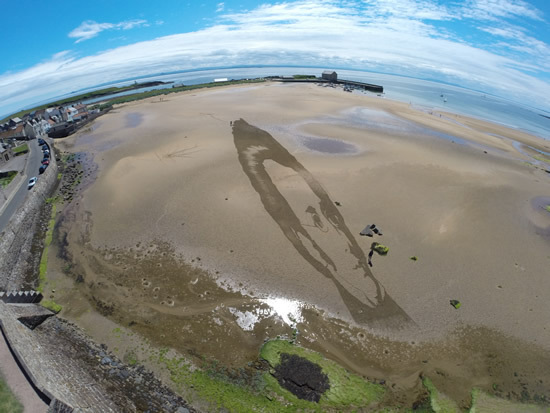 We are blessed that this was our workshop for today.